Mount Horrocks Wines restricts production to approximately 3,500 cases per annum to achieve the highest quality single vineyard wines. All three estate-owned Clare Valley vineyards, totaling ten hectares, are ‘A grade certified’ by Australian Certified Organic (ACO). Stephanie carefully crafts “essentially hand-made food wines with emphasis on structure as well as generous fruit flavours”. Only estate grown grapes are used and these are hand-picked and gently handled under conditions that ensure the varietal and site-specific flavours in the resultant wine, as well as its organic status, are retained. As no finings have been found necessary the wines are all suitable for vegans and vegetarians. Only the finest French oak barriques are used for those wines spending time in barrel. Started in the 1980’s Mount Horrocks Wines was purchased by Stephanie Toole in 1993. In April 1998, Stephanie re-opened the Auburn Railway station following substantial renovation, as Mount Horrocks’ cellar door. It is now open for tastings and sales each Saturday, Sunday and Public Holiday, 10am-5pm. 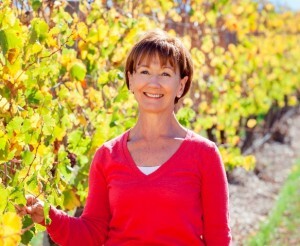 Stephanie Toole produces outstanding quality grapes from her own vineyards. Her persistence with classic, no-compromise winemaking and a fully integrated organic approach to growing and making sets Mount Horrocks wines apart from the mainstream. The result of her unwavering focus over twenty five years is an exemplary range of wines, each of the highest quality and classic in style yet unique, due to their single site origins combined with the maker’s sensitive approach. Mount Horrocks Wines has been widely recognised by experts and wine lovers. 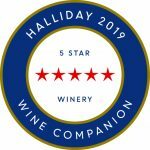 James Halliday in his 2019 Australian Wine Companion reaffirmed his Five Star Red Rating (Outstanding winery regularly producing wines of exemplary quality and typicity). In 2004 Mount Horrocks Cordon Cut Riesling was listed as an ‘Australian Icon Wine’ in Wine Spectator magazine (USA) and the 2011 Cordon Cut was awarded both the Decanter (UK) and International Wine Challenge (UK) Trophies for ‘Best Australian Dessert Wine over £10’; a rare achievement. Mount Horrocks Cordon Cut Riesling was also the only Australian wine to be served at the official Lord Mayor of London’s luncheon to celebrate Queen Elizabeth’s 80th birthday at Mansion House. In 2007 Stephanie Toole became one of just 120 or so Australian Winemakers in the history of Gourmet Traveller WINE magazine to be nominated for the Australian Winemaker of the Year Award.